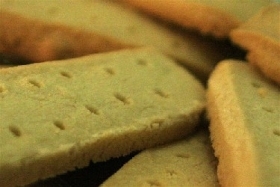 Have you made 1990 3rd Place: Shortbread Sheep? 1. Preparation time: 25 minutes Cooking time: 20 to 25 minutes Cream butter and sugar in large mixer bowl until light and fluffy. 2. Beat in flour and salt. Knead the dough briefly until smooth. 3. If dough is too sticky, add a bit more flour. 4. 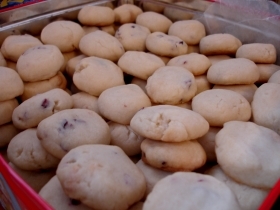 (Dough can be refrigerated up to several days; soften slightly before shaping cookies). 5. Heat oven to 325 degrees. Have ungreased baking sheets ready. 6. Pat half of the dough out on lightly floured surface to 1/2 -inch thickness. 7. Use cookie cutters to cut out desired shapes. 8. 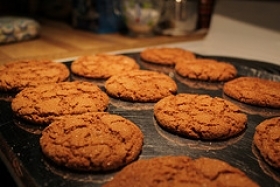 Place cookies 2 inches apart on baking sheets. 9. 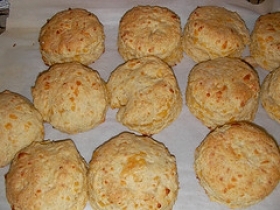 Bake until light brown on edges, 20 to 25 minutes. 10. Cool on wire racks. 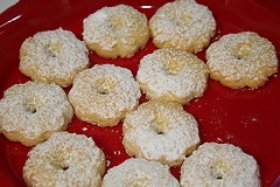 Note: The sheep cookie cutter used by Koenig is a Hallmark cutter that is no longer available. 11. A sheep pattern can be made out of cardboard and placed over dough; cut out the shape with a small knife. 12. Third prize went to Betty J. Koenig, of Hammond, Ind. 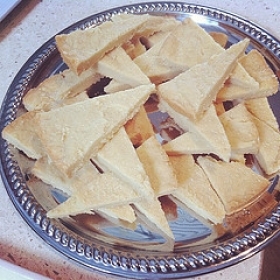 13. , for her recipe for shortbread cookies in the shape of sheep. 14. 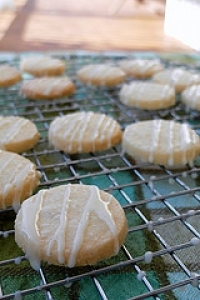 Betty uses a sheep cookie cutter to make these cookies. 15. She suggests using your fingertips to dimple the dough to resemble their wooly coats. 16. If desired, a small piece of chocolate can be used for eyes after baking.